Get on top of your money situation before the season’s out. 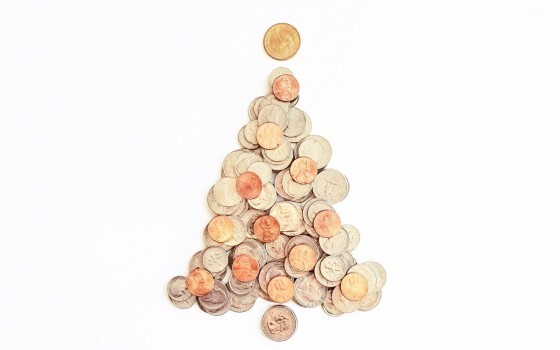 December is traditionally a time for finances that are as overstretched as your post-Christmas pudding stomach. But rather than waiting until the new year to put things in order, get on top of your money situation before the season’s out. It may be tempting to push your usual financial caution aside and cry ‘oh, but it’s Christmas!’ whenever overspending concerns creep in. Although we’re not encouraging a Scrooge-like approach to Christmas, keep things under control and don’t spend more than you can afford. A good way of doing this is to make strict lists and budgets for Christmas shopping and stick to them. Keep track of what you’ve spent on things like food, drink and presents. This will help you stay in control and prevent any nasty surprises come January. Keep receipts for gifts you’ve bought and also save any receipts that other people provide for presents they’ve given you, and be pragmatic about returning things that don’t fit or that you’ve already got. Make sure you’re clear about when your last payday is before Christmas, whether you’ll get a Christmas bonus, and when you’ll get your first 2016 paycheck. It can feel like the gap between getting paid in December and January stretches on for ever, so be prepared for this and build it into your Christmas budget. Now is a good time to check your credit rating, especially if you’re likely to be using credit over the Christmas period. The main credit rating agencies are Equifax, Experian and Callcredit. You can check your score for free by signing up to their free trials. If you’re hosting people for Christmas, you may be tempted to splash out on house purchases like new bedding and towels. And a full calendar of festive events may make you feel like you need new clothes. Avoid putting further strain on your finances: wait for the January sales to refresh your home and your wardrobe. Start thinking now about how January is going to look. If Christmas is going to leave you in debt, do you have plans for paying it back? January will also be a good time to review your standing orders and direct debits and to make sure you’ve got a budget plan in place and you’re on top of your pension situation. Plus, if you’re self-employed, the deadline for completing your tax return is the 31st January, so it’s a good idea to start thinking about it now.